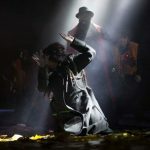 The Kate Bush Fan Podcast – Listen here! 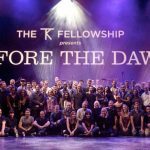 Episode 25 – BEFORE THE DAWN Part 2 – The Show! 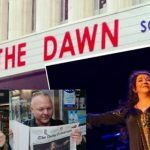 The second of Seán’s 3-part series of Kate Bush Fan Podcasts about the phenomenal Before the Dawn shows by Kate Bush is now uploaded! It’s a good one!! This 90-minute episode takes the listener right through her opening night performance on 26th August 2014, song-by-song, capturing the atmosphere, describing the on-stage action and celebrating one of the greatest returns to live performance in music history! It was a lot of work to put together, so I really hope you enjoy this and that it brings back a lot of memories of that incredible year! 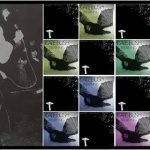 In this Bush Telegraph special episode of the podcast, Darrell and Paul have lots to say, as they go back nearly 40 years, reminiscing as school friends, the anticipation of the release of two more Kate singles in 1980, Babooshka and Army Dreamers…and how those songs match up today. 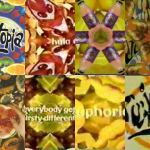 Episode 22 – The Fruitopia Special! Bush Telegraph duo, Paul and Darrell talk to Braden, a new generation Kate fan. 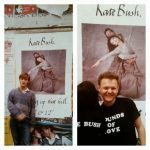 Darrell met 19 year old Braden after noticing he had a Kate Bush t-shirt walking out of a health food store in San Francisco! 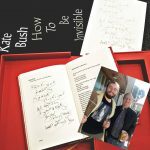 Bush Telegraph also review Kate’s new book of lyrics ‘How To Be Invisible’, discovering some new gems. Episode 20 – Bush Telegraph: Memories of 1980 as teenage fans! 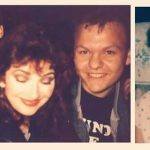 Darrell and Paul talk about being young teenagers, anticipating the release of Kate’s masterpiece ‘Breathing’ and attending the very first Kate Bush Club Convention. Only 300 attended and they were two of the youngest ones there! 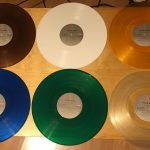 They also discuss the one-sided test pressing of ‘Breathing’ that has a unique etching on it as well as differences to the published single. Episode 19 – The Line, The Cross & The Curve Re-Watch! 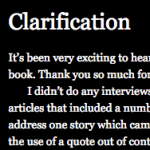 Just a short minisode to kick off 2019 – I wanted to draw attention to the “Clarification” statement that Kate made today on her official website after over two years of false statements and articles appearing in print and social media about her supposed political affiliations. She’s had enough! Good for you, Kate. Episode 18: Christmas Special 2018 with Bush Telegraph! 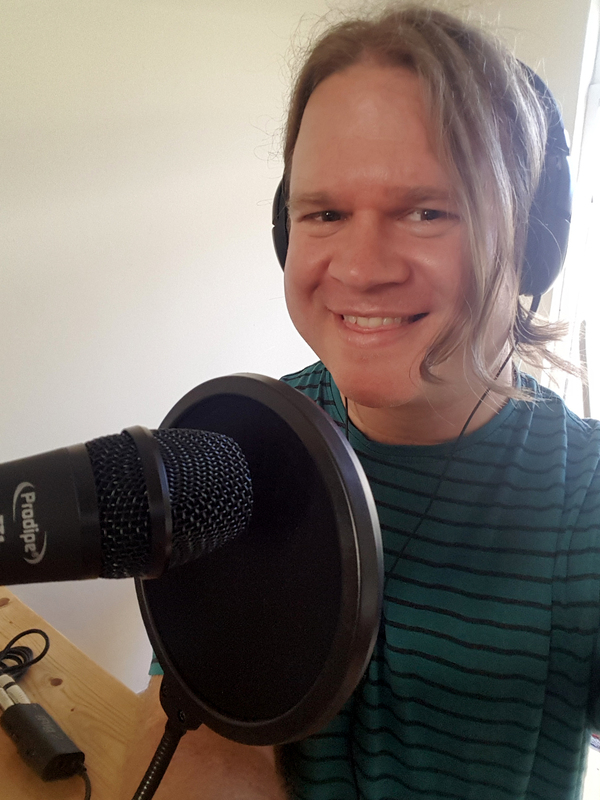 Seán introduces our Christmas Special episode for 2018 hosted by Bush Telegraph – Paul Thomas and Darrell Babidge! 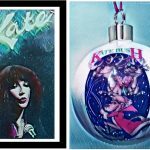 Darrell and Paul talk in depth about the Christmas Kate Show from 1979, and other festive things related to Kate. This includes the Christmas Kate Bush Club Newsletters, the recent Pop Up Shop in London, another Christmas TV appearance in 1979, and the release of ‘December Will Be Magic Again’ in 1980. Thanks for listening in 2018! We’ll be back in 2019! 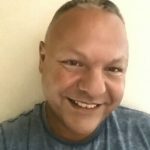 Episode 17: London Pop-Up Collecting Special with Monty! In this episode Seán heads to London to experience the extraordinary 5-day Kate Bush Remastered Pop-Up for himself. After meeting the HomeGround gang (and a certain actor friend of theirs!) he brings his swag with him to meet Monty Moncrieff MBE. 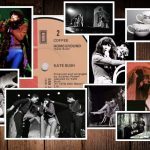 Monty is a Kate Bush superfan and we get into the world of collecting Kate Bush; vinyl records, box sets, rarities and even fakes – we cover it all. It’s very geeky, so be warned, but we had fun doing it. We also feature a fantastic version of one of Kate’s songs by our friend Tristan. Long episode, this one! 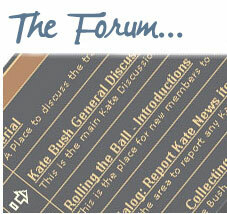 Be sure to check out the image gallery above for photos of some of the things we discuss. Episode 16: The Remasters have landed! First reactions! They’ve finally arrived! 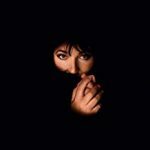 Kate Bush, who never seems to want to re-visit her back catalogue (her last greatest hits compilation was over 30 years ago), has nevertheless undertaken a monumental remastering project, releasing all 10 studio albums on both vinyl and CD, fully remastered plus some remastered rarities collections. 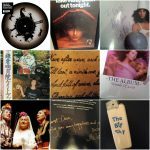 Seán talks about this extraordinary avalanche of Kate Bush releases and Paul and Darrell follow up with their analysis. And then there’s that charity pop up shop! Episode 15: Bush Telegraph – Before The Dawn! Episode 14: Homeground Party Time! 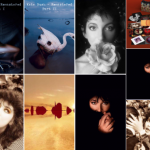 Four decades of Kate Bush fan events! 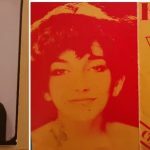 Episode 13: Del Palmer and the Kate Bush Song Book in Ireland! No, Seán can’t believe it either: in this episode he catches up with Del Palmer (!) 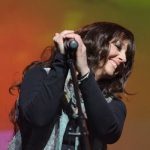 and singer Mandy Watson and pianist/arranger Michael Mayell of The Kate Bush Song Book as they perform in Ireland as a three-piece for the very first time. 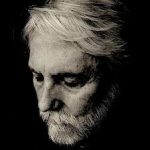 This relaxed chat finds us sitting around a kitchen table in Dublin discussing how Del became involved with the band, how he experienced re-visiting Kate Bush songs he hasn’t performed on in decades, and his memories of trips to Ireland with Kate and recording here with the cream of Irish musicians. We can’t thank Del enough for taking the time to do this. Seán also chats briefly backstage with Nadie Keating and Julia Krajewska, the immensely gifted surprise guest vocalists at the Dublin show! All song clips recorded in Monroe’s, Galway – Oct 20th 2018. Episode 12: Baby Bushka On Tour Special! 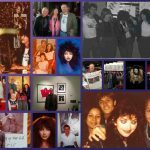 In another Bush Telegraph special episode of the Kate Bush Fan Podcast, Darrell and Paul take another trip down memory lane and talk about encounters with the Bush family, including when Kate sung to Paul and Darrell played Moonlight Sonata at the Farm. 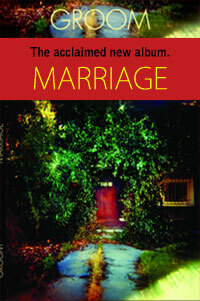 They also discuss the upcoming Kate Bush – Remastered vinyl and CD project. Episode 10: Eat The Music – Musings on a Feast of Remasters! 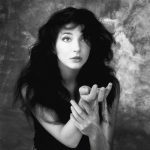 Seán discusses the big announcement from Kate today – Kate Bush Remastered. November 2018 will see all 10 of Kate’s studio albums fully remastered in vinyl and on CD as well as a new 4 disc collection of 12″ mixes, b-sides and covers. What’s included in the box sets? What are the formats? What the hell is remastering anyway? Who is James Guthrie? And what is “Humming” and why should we be excited about hearing it? What started as a minisode stretched to nearly an hour of talk, enjoy! Episode 9: Bush Telegraph – Running Up That Phone Bill! Seán introduces the third outing of the Bush Telegraph specials and has a mini pub quiz about Lionheart (thanks, Simon). Paul and Darrell discuss the ‘fan gene’ and the extremes they went to as young teenagers, investigating future Kate releases and harassing EMI! They also discuss memorable encounters with Kate. Seán introduces the first of a new series of fan chats. 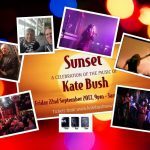 Paul Thomas and Darrell Babidge, friends for 40 years, reminisce and talk about Kate’s music and influence. 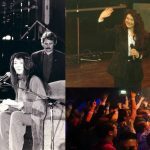 These “Bush Telegraph” podcast within-a-podcast episodes hope to cover many topics regarding Kate, including the release of singles and albums, the Kate Bush Club newsletters, conventions, TV appearances, rarities, and visits to the Farm. In this episode we are introduced to Paul and Darrell as they reminisce about their introduction to Kate in 1978, and their experience at the Before The Dawn concerts. Teasers include future plans to talk about a rare test pressing that has not been heard before, and the unique experiences that Paul had with Kate singing and talking to him on his birthdays! 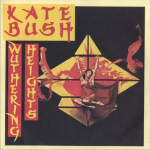 Kate released her extraordinary debut single, Wuthering Heights, on 20th January 1978 – which means the song celebrates it’s 40th anniversary today! The impact that the song and Kate’s subsequent career has had on all our lives is very hard to put into words. I’ve done a bit of a “Director’s Cut” on the podcast I did last year all about the song, it’s origins and it’s lasting influence out there. So be sure to play the song loud today! In this episode, Seán is joined by Thomas Dunning as they travel from Dublin to London to attend the HomeGround party in the RVT. 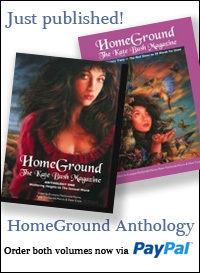 We talk Kate at the airport, meet up with the Homeground gang, talk to DJ Paul Thomas and photographer Guido Harari and hear some terrific Kate Bush music played live. And we remembered to record much of it! 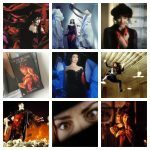 In another shorter minisode, Seán looks at the story of how Kate slowly (and at times painfully) pieced together what would become one of her most celebrated works – her stunning 1989 masterpiece, The Sensual World! In this episode Seán is joined on the phone by Tristan in France and they discuss a selection of Kate’s less well-known but nevertheless interesting b-sides and rarer tracks. We also indulge in some very geeky collectors chat. 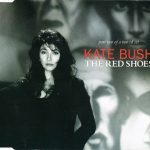 Kate’s French and Irish language recordings are chewed over, her earliest recorded work to be officially released gets due praise and we get to grips with everyone’s favourite 1994 10-minute dance remix – Shoedance! Enjoy. Episode 3: The Most Wuthering Heights Podcast Ever! This episode is a celebration of Kate’s debut single, the classic song Wuthering Heights! Seán chats to participants at the Most Wuthering Heights Day Ever in Dublin and he explores the story of the song and the Emily Brönte novel; how it immediately thrust Kate into international stardom. It’s our tribute to the lasting legacy of this truly remarkable recording. Our second episode is an excuse to take a look at the chronology of Kate’s career through the eyes of a fan who was there from the start – Paul Thomas. Paul chats on the phone to Seán about the early days of KB fandom, meeting Kate, the thrill of each new release and what the music means to him. PLUS an inside look at the making of the cult classic parody film, The Pink Mules! 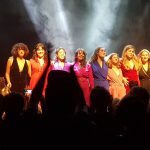 In this short intro episode, Seán Twomey announces the podcast and we include an interview Seán did with Mandy Watson, backstage in the Sugar Club in Dublin, where she was performing with Michael Mayell as the “Kate Bush Songbook” aka the acclaimed Kate Bush tribute band, Cloudbusting.